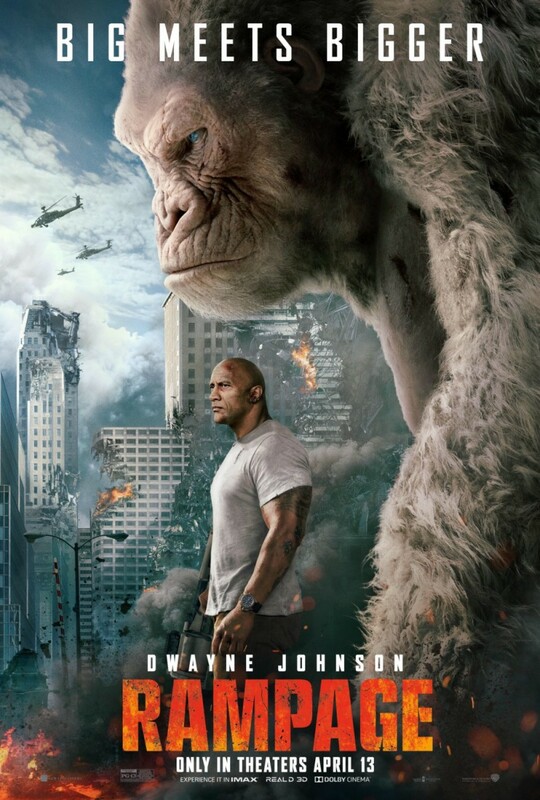 Davis (Dwayne Johnson) is a trained animal expert at a zoo, but he has a particularly special bond with an albino gorilla, named George. 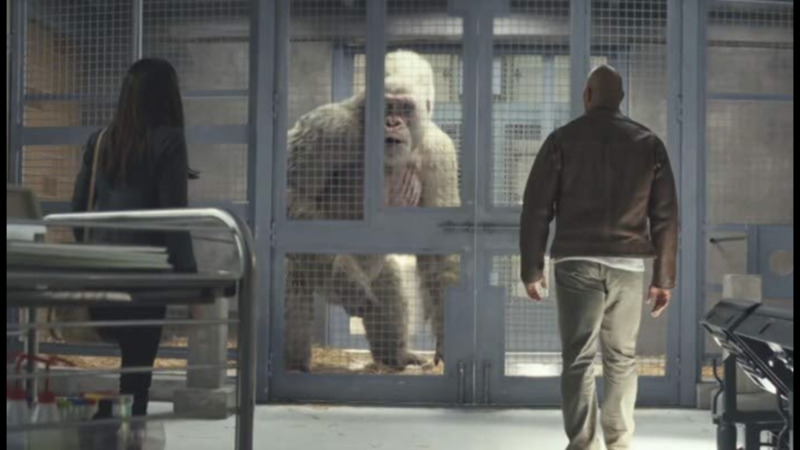 The two are able to communicate with each other through sign language, and the gorilla even has a sense of humor that he uses to tease Davis. One day, a group of astronauts are returning to earth with a mysterious substance that drastically increases the size of any animal it is exposed to, while also sending some animals on a bloodthirsty path of destruction. This substance is bad news, and has been exposed to a rat on the spaceship. In a desperate effort to save their research one, astronaut releases three capsules of the substance into earth’s atmosphere. Late that night, one capsule finds its way into George’s exhibit. Curious, he examines the capsule, but inadvertently releases the substance. Exposed to the substance, George is discovered (the next morning) to have drastically increased in size, gotten into the grizzly bear exhibit, and killed a bear with ease. Concerned, Davis brings the scared George into the lab, learns that he is still growing, and finds out that George is not alone. Elsewhere, a wolf has been exposed to another capsule and is slaughtering every living thing in its path. Davis must find a way to make sense of this situation and save his buddy George from becoming a monster of destruction without having to kill him. 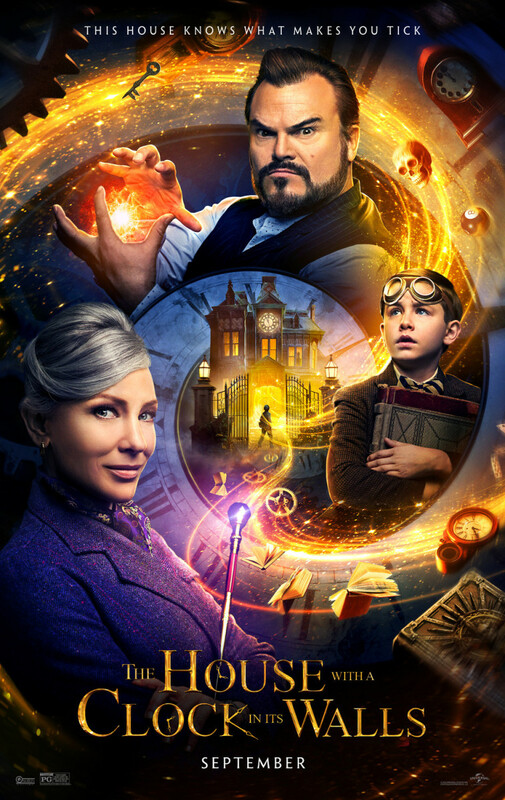 I was not expecting much from this movie, but the bond between Davis and George added a much needed layer to this story. 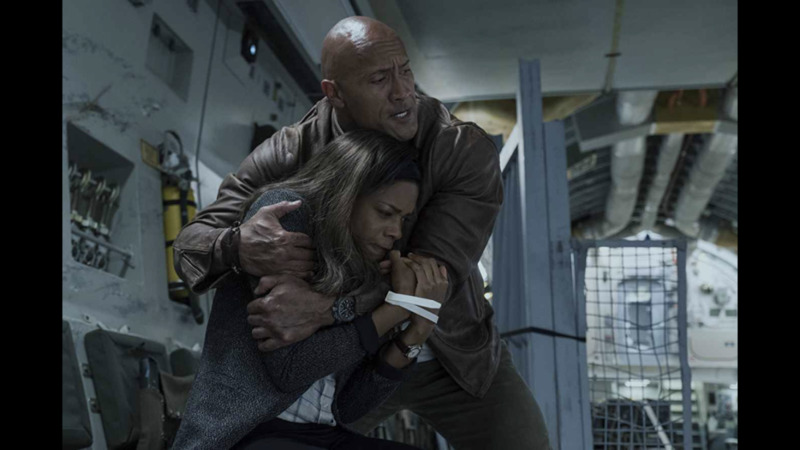 These two are quickly setup as close friends, and The Rock does a great job at conveying his character’s love and concern for his buddy. The relationship works for two reasons. 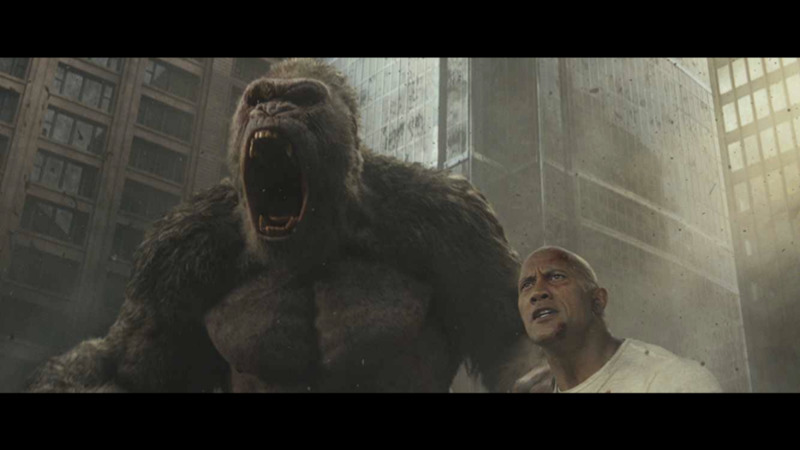 The visual effects were effective, and Dwayne Johnson did a great job of selling his character’s love for the ape. The filmmakers were able to get George’s jovial attitude across through the visual effects that were very well done. The quality was fine, but the detail that went into his facial expressions were what made it so effective. You know when this character is sad, happy, scared, and angry. It may not sound like much, but it added a lot of personality to this character. Then there is Dwayne Johnson’s performance. It is not an incredibly dramatic performance, but the guy could be entertaining even if he was acting alongside...well a rock (pun severely intended). On top of being entertaining, he makes the character’s love for George very believable, which made it very easy to get invested in Davis’ story. A movie is only as good as its villain, right? Well this one stunk. Now, there was not anything wrong with Malin Akerman’s performance. This character was just written to be as one-dimensional and bland, as one-dimensional, bland characters come. She is one of those antagonists who are evil, because money. That is all this character wants, money. The character gets no development, and has the absolute dumbest plan that I have seen from an antagonist in a long time. Really? Your plan is to lure a group of enraged, destructive monsters to your exact location? You see that going your way? It was blatant, lazy writing if I have ever seen it before. Malin Akerman did as good as most actors could have done with the role. Could some actors have brought more to the role? Sure, but there was certainly not much to work with here. Well, well, well, if it isn’t Negan himself. Well, it definitely is not Negan, but it sure looks and sounds just like him. Jeffrey Dean Morgan basically plays this character as if Negan was a good guy. Sure, the character finds himself toe-to-toe with The Rock a few times, but the two are really on the same side here. 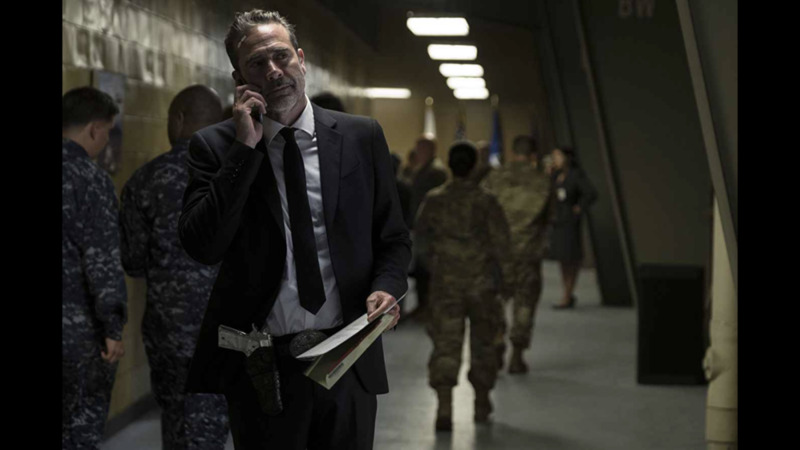 During all that, it definitely felt like Jeffrey Dean Morgan was doing an impression of his popular character from The Walking Dead, but it worked for this movie. It gave some extra flavor that the movie definitely benefited from having. He plays the character in a super cheesy way, that adds some humor and keeps the tone light. It is a ridiculous premise for a movie. There is no doubt about that, but Jeffrey Dean Morgan played the role in a way that made it feel like the filmmakers knew just how ridiculous the concept was. 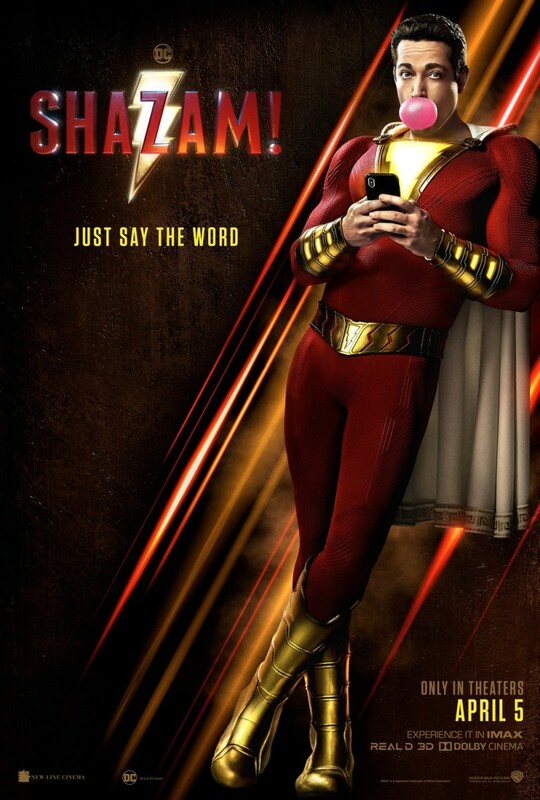 This made it easy to go along with the silly nature of the character, and lightened up the movie’s tone for the better. Again, my issue was not with the actor here. 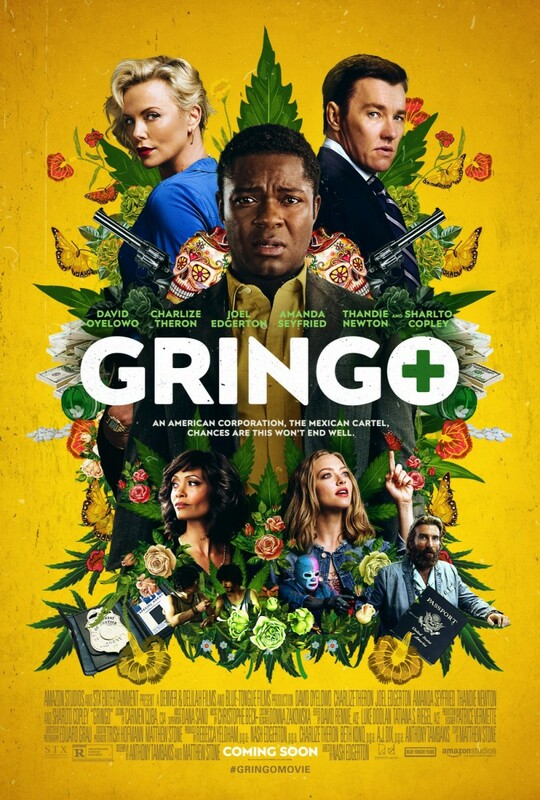 However, Naomie Harris plays one of those characters that makes you wonder what on earth the character is doing in this situation. Why are you here, lady?! She is one of the scientists that helped develop the substance that is causing all of these problems. For some reason she is right there, alongside The Rock, through this entire story. 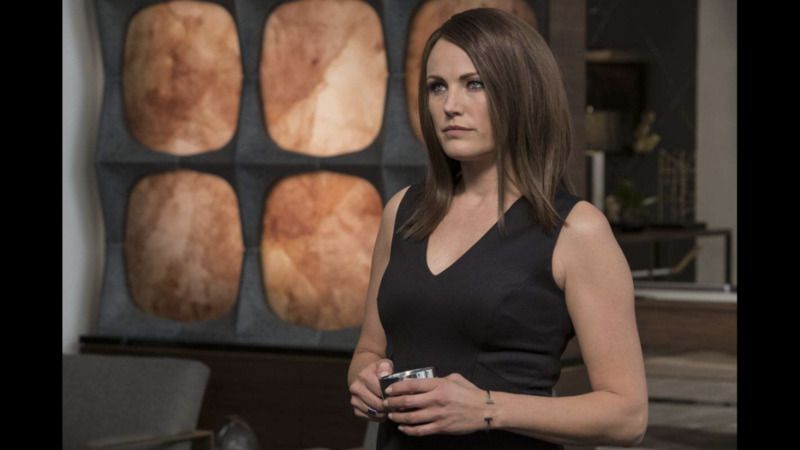 They set her up as a potential love interest for Davis, which feels completely unnecessary and forced. The filmmakers just kind of forced her into this story, and she takes screentime away from other more important characters. Her character gets no development, and there is no payoff for her being present through this whole thing, which makes the character feel like an extreme waste of time. The monster action in this movie is decent, but not great. There are some cool moments, sure. 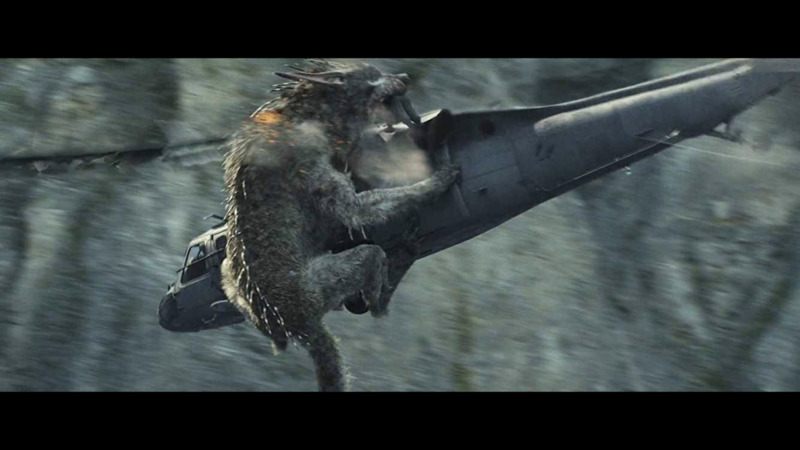 These mostly involve the giant wolf, but after that, the action does not feel like anything we have not seen in countless other movies. Was it bad? No, but it was not great, though there were a few spots where it was mildly entertaining. The good spots, like I already mentioned, mostly involved the giant wolf. When the main antagonist, played by Malin Akerman, learns of the wolf’s whereabouts, she sends a bunch of hired guns to go get him (really a fool proof plan, if you ask me). The following sequence is pretty intense and darn entertaining. After that, the movie does not seem to do anything all that special with its action. 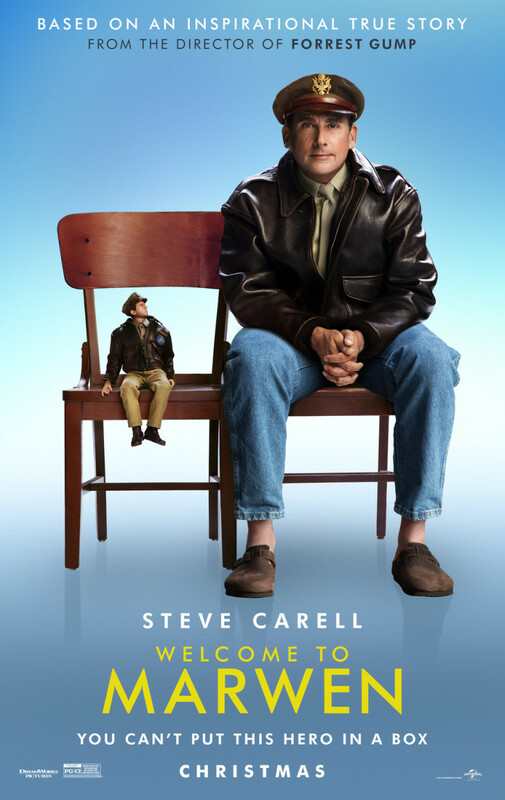 As mentioned before, this movie has a ridiculous premise. If you know what this movie is about, that should not be much of a shock to you, and while the filmmakers made a plot to setup this premise, they did not care to make a plot that made any real sense. The antagonist makes this substance for no good reason. She seems to think it will make her money, but there is no real reason as to why, considering the drug does not seem to do anything good. Then, the antagonist gets a plan to save her investment, and I have already mentioned my issues with that plan. 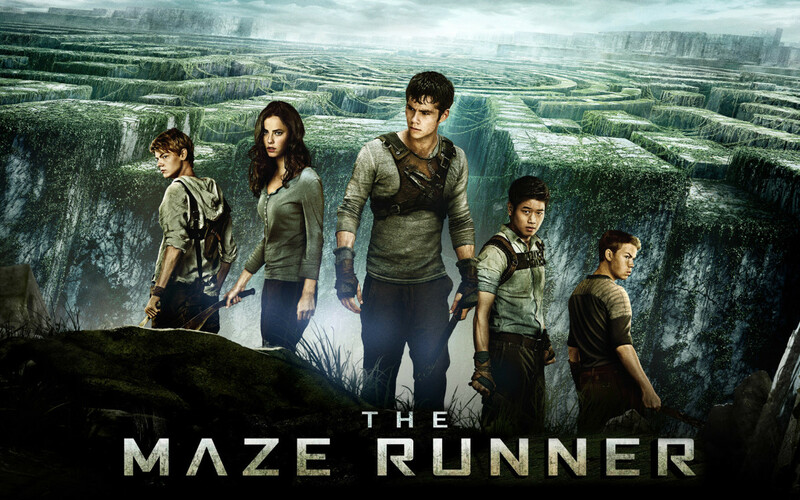 The movie follows Davis who is trying to get his buddy out of the situation but does not have any plan on how he is going to accomplish that. His main focus is just figuring out what is going on (you and me both, pal), and following George. Everything is just kind of “happening” with very little logic from the characters or the writers. The whole movie had a stench of lazy filmmaking that was hard to look past. Through all of the marketing, and trailers, Rampage looked like it would be a lazily made film that might have a few decent qualities. That is exactly what this movie was. The plot made no sense and felt like it was thrown together to very loosely explain why there are giant animals destroying a major city. The protagonist was entertaining, but had no plan at all. To make things worse, the antagonist was bland, and had a plan that made absolutely no sense. There were some redeeming qualities, but they were not enough to make up for the bad. 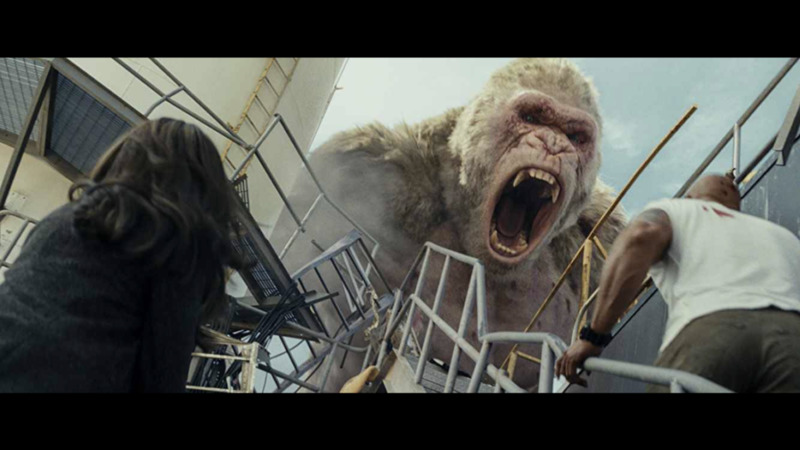 The CGI was decent and was able to add a lot of personality to the gorilla. The relationship between Davis and George was pretty entertaining, and Jeffrey Dean Morgan’s character added a flavor of cheesiness that the movie definitely benefited from having. 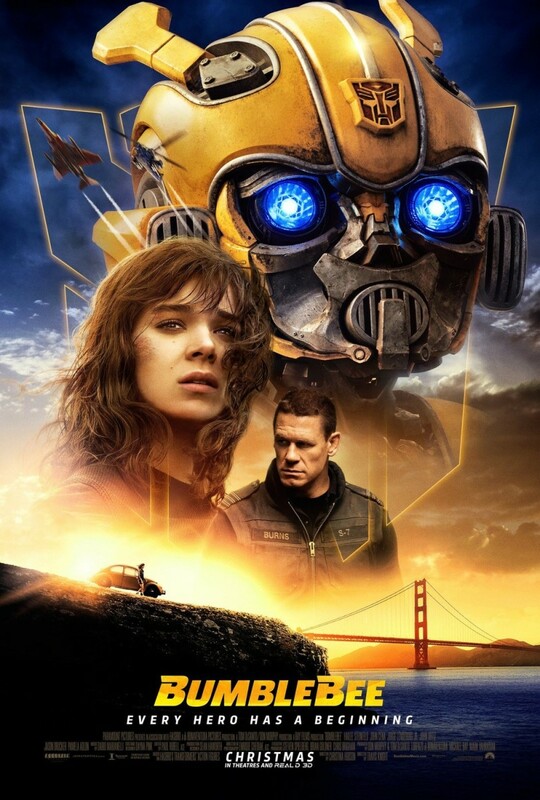 Point is, the movie was not all bad, but there was not much going for it, when compared to all that was going against it. 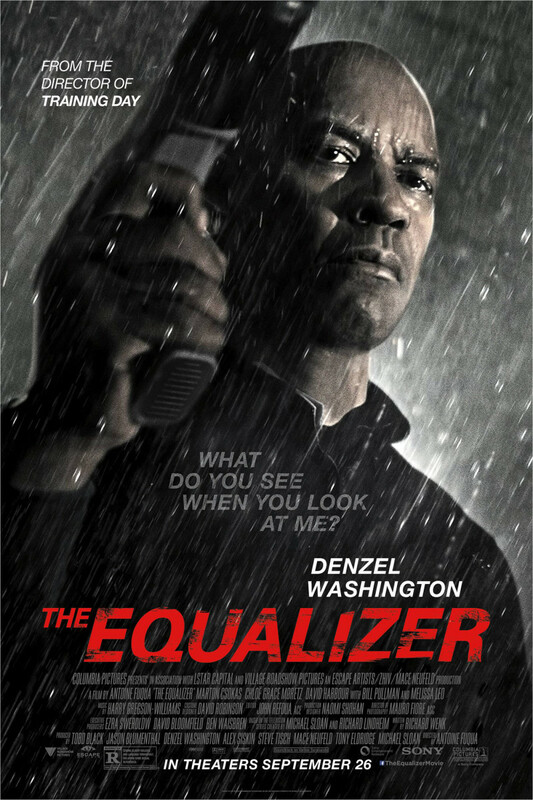 The result is a movie that is watchable if it is on, but is not one I would recommend. There are plenty of better movies that are worth checking out.